SOCIAL GOOD: World Immunization Week 2014 #VaccinesWork #RUuptodate ? This week of April 24th through April 30th as we recognize World Immunization Week, the world is entering an exciting new phase. The upcoming expansion of vaccine programs will build on the momentum gained to this point against the most lethal killers of children in the world. Vaccine preventable diseases. According to GAVI Alliance 440 million children have been vaccinated since the year 2,000, saving around six million lives. Each year this week serves to remind communities of the importance of vaccines and to spread the word that #VaccinesWork. Immunization has proven to be one of the best returns on investments in world health, yet one in five children will still die before their fifth birthday due to a vaccine preventable disease. According to GAVI Alliance there are still over 22 million kids who have little or no access to the vaccines that could save their lives. For those of us with access to vaccines the World Health Organization is promoting the campaign tag line to “Immunize for a healthy future – Know. Check. Protect.” By making sure that you and your family are up to date on all vaccines, everyone is given the best chance for a healthy future. 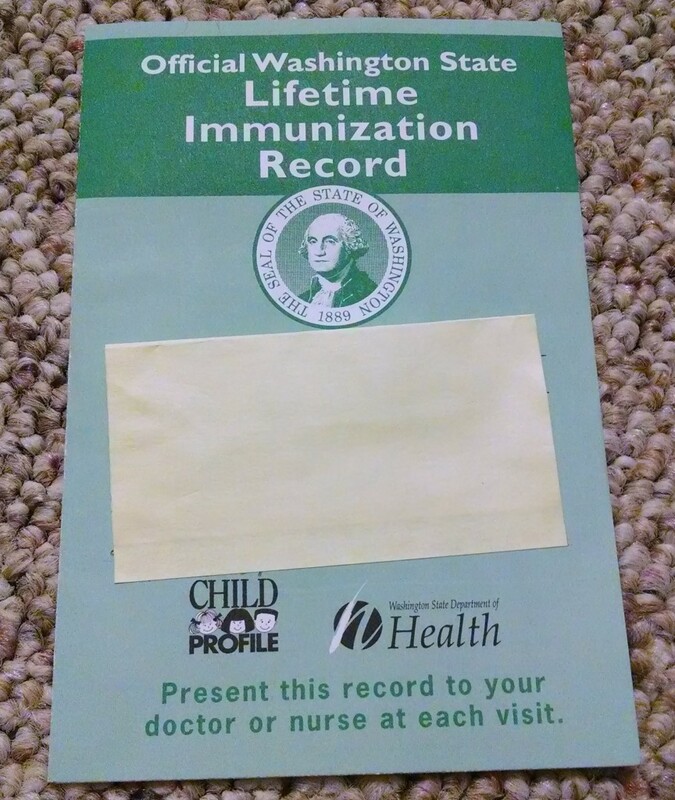 Vaccine cards have been around for a long time to help families stay on track. These days new methods and technologies are being put into play like the new mobile phone app by the WHO, or the bracelet reminders for the babies to wear in South America being developed by Alma Sana. 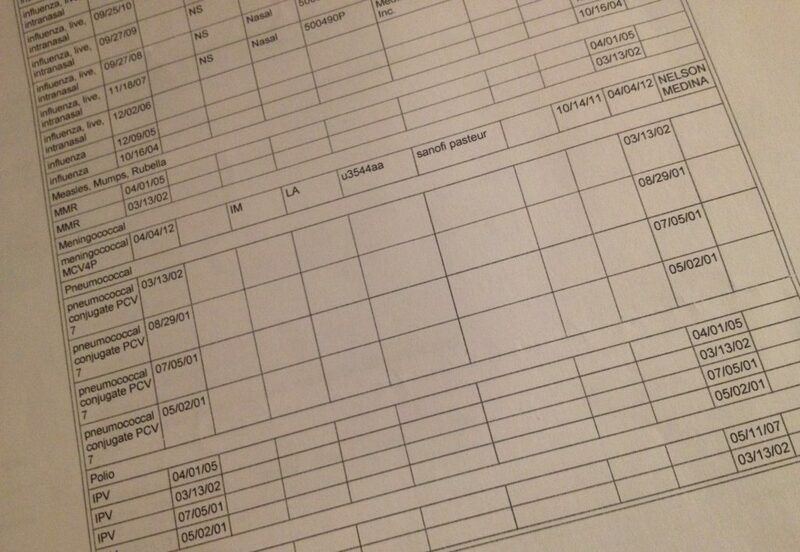 No matter what the method used, keeping track of immunization schedules is an important part of ensuring good health. 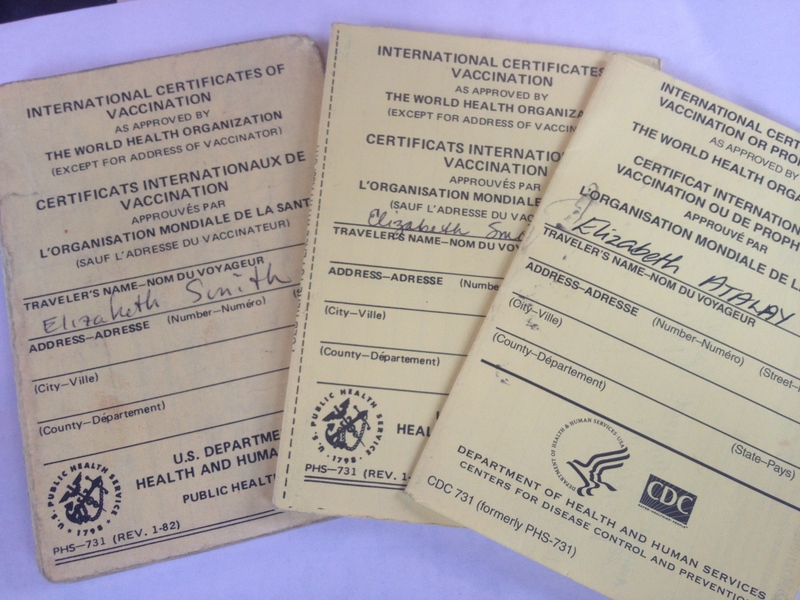 To highlight the importance of global vaccines the GAVI Alliance has shared a photo gallery of vaccine cards from around the world, so we decided to share some of our World Moms Vaccine Cards here for you too. We would love to see yours! 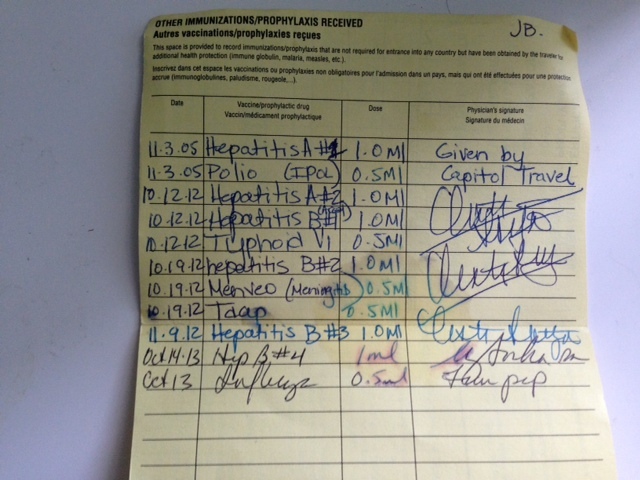 If there is one thing we are here at World Moms Blog, it’s well vaccinated! Share your vaccine card with us by Tweeting to #VaccinesWork #RUuptodate #WorldVaxCards, and check out the story of immunisation cards around the world hosted on the BBC. 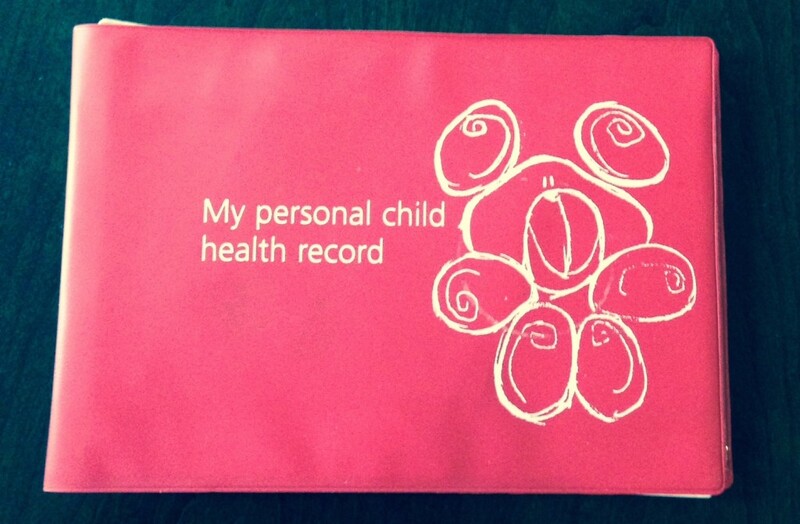 This is an original post written for World Moms Blog by Elizabeth Atalay of Documama.org. « AUSTRALIA: Who Will Protect Them? Great and timely post Elizabeth! Love this post, Elizabeth. I’m vaccinated!! Great post! 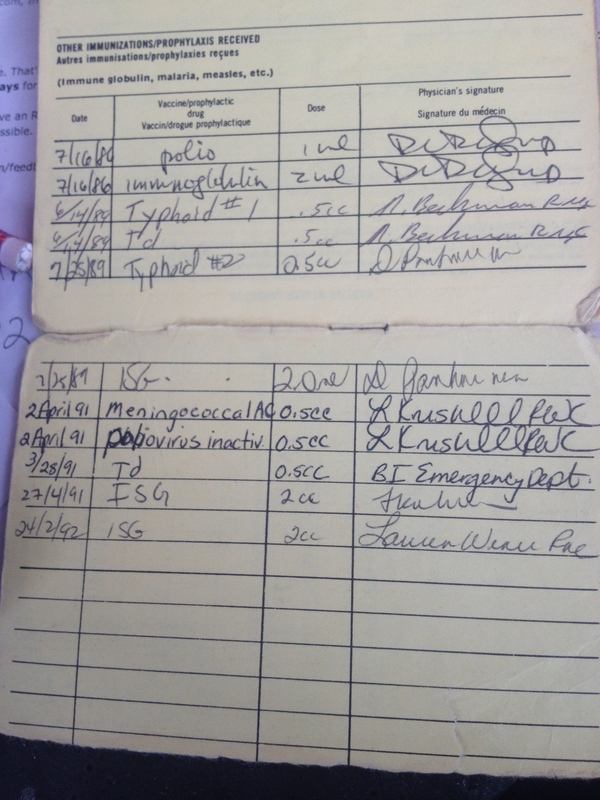 I still have my smallpox certificate and my polio shot card. My Mom saved them in my baby book.